The third volume in the exciting new Interpretation series offers a comprehensive look at the theology of sacraments. For many church people, worship is about preaching and music. Baptism and the Lord's Supper are occasional additions to Sunday services. Recognizing that church-goers are uncertain about the need for sacraments, Ronald Byars describes the possibility that the very doing of worship--the actions observed, the postures assumed, the sound and sight of water, the smell and taste of bread and wine--will subtly alter the temper of the heart and the mind. 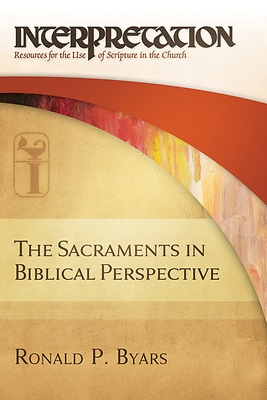 If we encounter the sacraments honestly, they lead us to the very heart of the gospel.